Friday 16th March 2007: chez mon père, a sesquivertical of Cockburn and Taylor (paperwork). Present: JDAW MAW RAW WDBP RKA JFH MF SRG, and sort-of SVW. See review. Identifiable only from the capsule. Apparently here one can buy a entire case of TSQ50. In case you haven't picked up all the previous threads on the port elsewhere, this was a wine that was produced in a very small quantity for a special occassion. Someone, possibly a relative of the owners of Taylor's, ordered a quantity of this to be bottled in the UK. 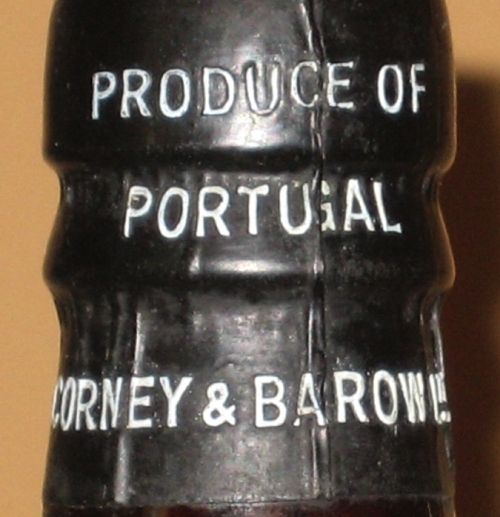 Corney & Barrow were probably allowed to bottle and sell a limited quantity of it for sale as part payment for the private bottling. 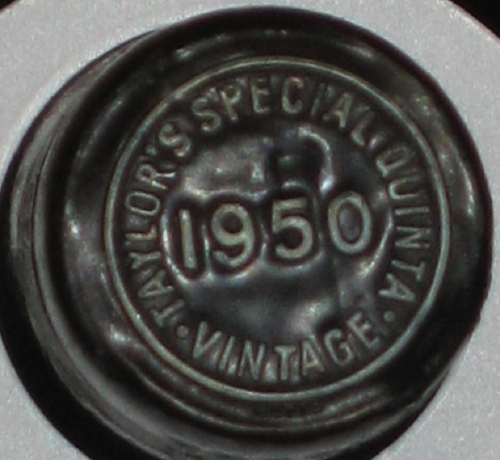 What this means is that it was probably a requirement to have a 1950 port with the Taylor's name on it but this was more than likely a relatively low quality VP. The fact that it is still drinkable nearly 60 years later is remarakble in itself. Al-B and I shared a bottle of this (and still have 1 each) a few months ago and it seemed to show better than the one Julian had but not by much. Shame WE wont be able to tell you how it went...unless there is an afterlife.